What do you call a monkey with a banana in each ear? Anything you like - it can't hear you! 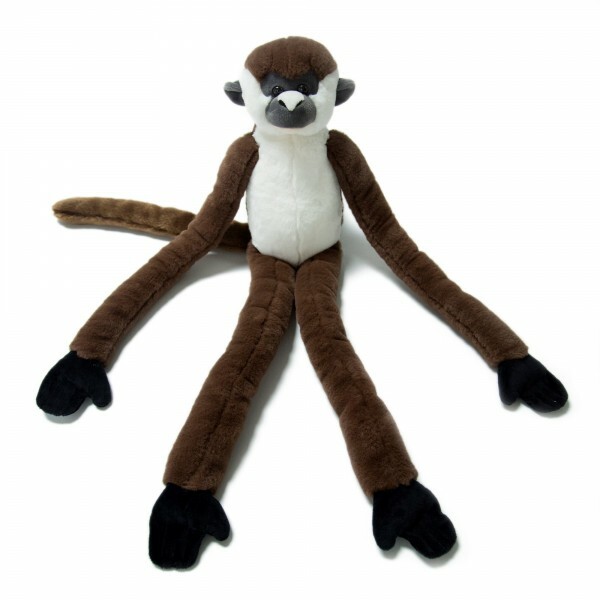 Gakere the Hanging Monkey is one of four cheeky monkey pals, always hanging about looking for trouble. They might look adorable but that's just the face they pull when they are looking for mischief. You are probably familiar with it already. Velcro patches on Gakere's hands mean he can be suspended in various positions, so he comes with the added benefit of not posing a midnight trip-risk - always a bonus. CARE INSTRUCTIONS: Hand washable. Air dry. WARNING! Recommended for children over 12 months old due to shedding of long pile plush.